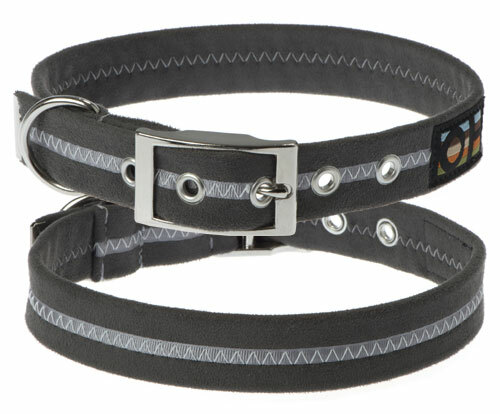 In an unusual and beautiful graphite grey, this suedette luxury dog lead is strong and secure for your dog yet soft and comfortable for you to hold. A little bit of luxury for outings and walks. And if it gets dirty, simply pop it in the washing machine. Woof! 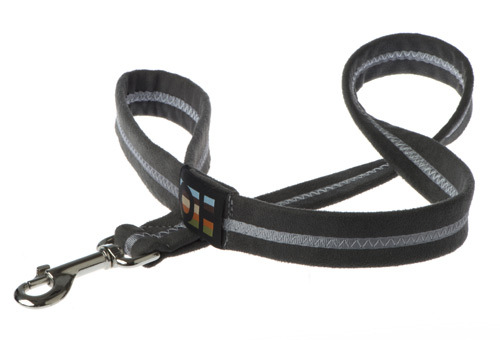 With subtle undertones of charcoal and granite, this unique grey dog lead will look superb against light or dark coats. A new twist on the usual dull old grey, this luxurious graphite shade will be admired by all. Wanted a strong lead to match the collar for a young dog that sometimes pulls. This lead was perfect - lightweight, soft and comfortable to hold. Also quick efficient delivery - thanks. 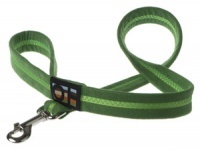 Wanted a strong collar for a young dog that sometimes pulls. 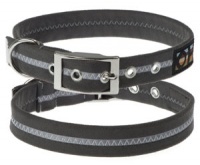 This collar did the job and is really lightweight, soft and comfortable to wear. Also quick efficient delivery - thanks.